When I throw a drop of Yogurt (through spoon) into a dish of Yogurt, it caused something like a meteor hitting the earth and something occurs similar to the place a meteor hitting the earth(Barringer Crater). (stable for a few seconds). How to explain this process through fluid dynamics? Is there an equation to explain this fluid dynamical process? 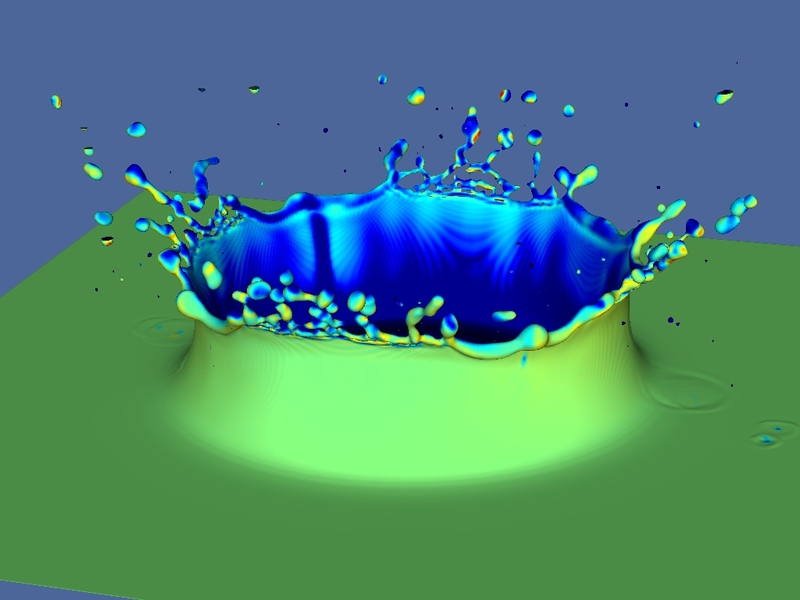 What is The Physics of a Splash? 1. "How to explain this process through fluid dynamics?" There is a study from "Hasson and Peck", 1964, which explains "Thickness distribution in a sheet formed by impinging jets." It's all basically Bernoulli's equation; "Velocity -> pressure -> velocity" and then simply continuity. Shortly, With ideal fluid the Kinetic energy can be completly maintained, though there is obviously more or less 90-degree change in direction. 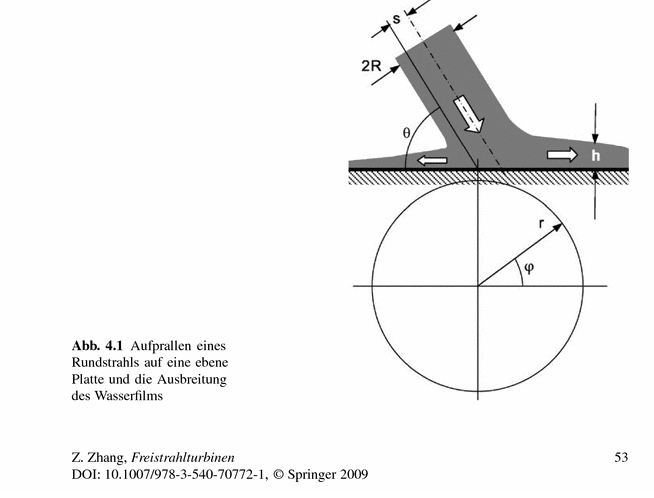 Anouther good source is the Book "Zhang, Zhengji, Freistrahlturbinen" You can luckily preview these particular pages (53-54) here; http://www.springer.com/us/book/9783540707714 It's german, but the equations and a picture is there. 2. Is there an equation to explain this fluid dynamical process? Yes. After answering this question; Height of Water 'Splashing' I realized that it's only Bernoulli's principle. Which then has no difference compared to any explosion. The pressure is simply released to the easiest direction, and the matter influenced by this pressure will gain velocity. the direction of this velocity is defined similarily as the hydraulic pressure gradient; allways perpendicular to surface. 3. What is the Physics of a Splash? Velocity - > Pressure -> Velocity to the least pressure direction. -Bernoulli; that's all. Not the answer you're looking for? Browse other questions tagged fluid-dynamics meteorites or ask your own question. Ways of verifying the origin of a meteorite? How do the terms comet, asteroid, meteoroid, meteor and meteorite differ? Is there any way to judge whether a bolide might produce a meteorite? How to find out diameter of some crater on moon using meteorite size and velocity? Why are there more meteorite falls during April?